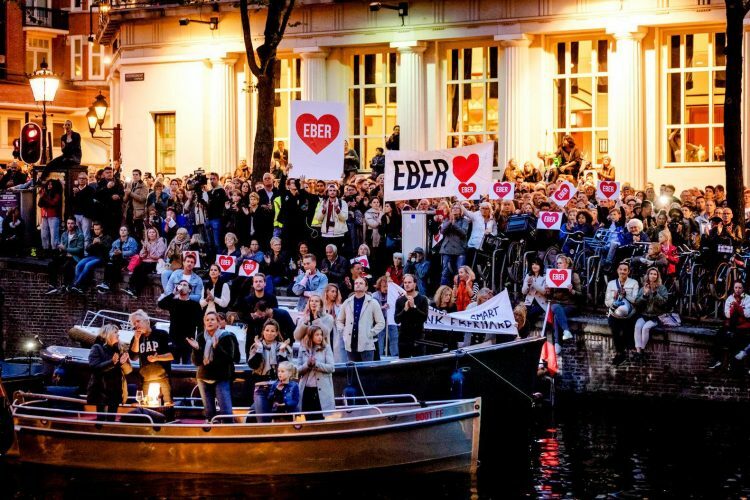 A long and steady applause was heard alongside the Amsterdam canals on Wednesday night. Hundreds of inhabitants gathered around Herengracht 502 to say goodbye to their mayor, who is terminally ill. It was broadcasted live on local television and written about in national newspapers. Why is this news? In their study ‘What is news? Galtung and Ruge revisited’ Tony Harcup and Deirdre O’Neill introduce an updated version of news values; criteria used by media to determine what becomes news. The original research ‘The Structure of Foreign News’ dates from 1965 and is still regarded as a vital research to news production. But according to Harcup and O’Neill, a more contemporary set of news values was needed. So how do these criteria set by Galtung and Ruge apply on people showing gratitude to their mayor? First of all, the mayor of Amsterdam belongs to what Galtung and Ruge would call the ‘power elite’; “stories concerning powerful individuals, organisations or institutions” (Galtung and Ruge, 279). Furthermore I would argue that this story has elements of both ‘good news’ and ‘bad news’. Both are potential criteria for a news story according to Galtung and Ruge. (279). The mayor having to quit his job due to illness is clearly the bad news element here. However I would argue that people coming together to show their respect is good news (Galtung and Ruge, 279). A last criteria that is relevant to this story is ‘follow up’; the situation of the mayor has been in the news for about half a year. This particular event was triggered by his announcement to step down from his post. This example checks four out of ten criteria and thereby shows that the updated news values can be applied to current news stories.